When losing a loved one, you need to face the pain and grief while considering the services that will suit the needs and desires of your family. What are the right funeral plan based on your traditions and cultural preferences? It is easy to get caught up in a do-it-yourself approach with funeral planning. But the best solution is to reach out to an experienced team that provides funeral and cremation services in Boones Mill, VA.
A knowledgeable funeral director is a key to reducing your stress and ensuring that important details are included in every funeral plan. At Conner-Bowman Funeral Home & Crematory, we know the challenges that you are facing in this difficult life experience. We offer experienced staff to give the care and support required for your funeral services. Relax and focus on your family, instead of worrying about the planning and coordination that needs to happen behind the scenes. One of the benefits of choosing Conner-Bowman Funeral Home & Crematory is that we are focused on the care of your family. Not only are funeral services required to arrange services for the deceased, but the survivors also need to be supported. As you are preparing for a funeral, you will need to consider the services that are offered. Our team is here to walk you through each category of funeral planning, giving you the confidence in making the most difficult decisions. We honor and respect your traditions and preferences. Do you want to include certain music, religious ceremonies, or poetry in the funeral service? Share these details with us so that we can coordinate anything that might be required. Where would you like your loved one to be laid to rest? Talk to us about your options, and we will help in the selection of the perfect location based on the needs of your family. You will always receive a concierge approach when choosing Conner-Bowman Funeral Home & Crematory. Our goal is to empower families in these decisions, giving you the opportunity to think outside of the box if you don’t want to stick with traditional funeral planning. The little things make a big difference in the quality of funeral services, so we are always looking to improve the experience for your family. 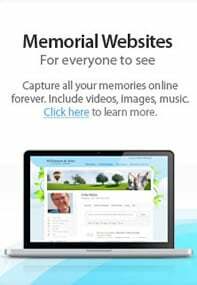 Conner-Bowman Funeral Home & Crematory is more than a basic funeral home. We are striving to provide the best funeral and cremation services in Boones Mill, VA. One of the ways that we stand out from other funeral homes in the area is due to the on-site crematory located at our main funeral home. This facility means that you can choose cremation, and rest assured knowing that your loved one will never leave our care. There’s no need to send the remains to another company when we have the required facilities to complete every part of the cremation process. Talk to us about your preferences for cremation. We are here to accommodate your requests for cremation combined with other funeral services, including a funeral, viewing, or memorial. Another option is to select direct cremation if you want to keep it simple and reduce your spending at the same time. At Conner-Bowman Funeral Home & Crematory, we follow the Golden Rule by treating your family in the way we would like to be treated. Each family deserves respect and dignity, and our staff is here to offer the care that you need. Our funeral homes are tastefully decorated and renovated to offer a comfortable, beautiful location to meet with your family. We are proud of the state-of-the-art facility that is available. 11,000 square feet of space is available to accommodate any size of group, including the largest chapel in the county. Additional comfort is offered through the children’s room, family lounge, and smaller meeting rooms if you want to have an intimate gathering with your loved ones. If you prefer, we are happy to support your desires to hold the memorial or funeral services at another location. Some families choose to have these services at a community center, church, or even at home. Our staff can assist with transportation and coordination so that you aren’t burdened by the planning details.